Odds are you didn’t open an asphalt business because you are a marketing whiz. Your interest and aptitudes are paving, not selling. Yet, you quickly learn that the customers don’t exactly beat a path to your door, and it becomes necessary to get out there and find the work. 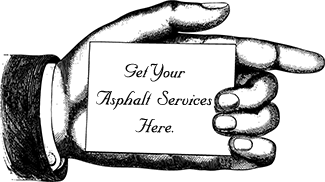 You already know it’s important to continue to get the word out about your asphalt business, but getting it done is something else. If you are not approaching new customer acquisition thoughtfully, you could be burning thousands of dollars in effort that just wastes time. And it does not help that measuring the results of advertising and market effort is just not really possible. Certainly, advertising and marketing gurus try to cover up this fact, and suggest dozens of ways to try to track responses to your efforts. How much new business did you get by attending the state asphalt conference? The answer is probably zero, but you never really know. Who knows? Maybe someone you met at a conference two years ago recently recommended you as the best in your area to a juicy commercial account. How do you know for sure? If you spent $1,000 to attend the conference, and you wind up with a $12,000 annual account, is that a good return on investment? You bet! Or, you spend $600 printing and distributing 1,000 flyers. And you get four calls, resulting in two $500 jobs… is that worth it? And yet, how do you know that next spring, a neighbor isn’t going to ask one of those customers who did their driveway? You spend a chunk of cash to be listed in the yellow pages. Do you know how many yellow page calls you get? Do you know how much it would cost you to drop your yellow page ad? For asphalt contractors, the best yellow pages listing you can afford is still your best marketing investment. If it’s any comfort to you, huge, multi-national corporations have the very same problems you have. Who has not heard of Coca-Cola®? Absolutely everybody knows about Coke! So why on earth does it continue to advertise to the tune of around $2.5 billion annually worldwide? Because, every time it cuts back on ad spending, beverage sales drop! Sagging sales are a pretty good general indicator, but you’re still not really measuring. So what can you measure that is worth the trouble by giving you firmly actionable results? What should you measure to get valuable data you can really use in your planning? First, pay attention to your leads. Where do they come from? What generates calls into your company? Understand what’s behind each call you get. This is information worth collecting and acting on. Ask callers, “How did you hear about me? Why did you call me?” Over time, collecting this information may suggest all kinds of strategies and tactics to you. For example, what is the outer limit of your geographic reach? From what area are you getting the most calls? Or you might learn you are only getting 30 percent of calls through the yellow pages – and it’s time to focus on ways to increase your efforts in uncovering the origins of the other 70 percent of calls. What does your qualified lead look like? At the very least, a qualified lead has an imminent need for your work. If the average parking lot seal job lasts three years, your qualified lead is someone who hasn’t sealed for three years – not the guy who just sealed last year. A qualified lead has the money and can afford to hire you, And, the qualified lead is the decision-maker. It’s far too common to waste your time selling to somebody, only to find they have to check with someone else. Now for the hard part; it’s time to pick up the phone. Sure, everybody hates cold calling. You simply have to decide which you hate more, picking up that phone or starving. When you look at it that way, it’s not so bad. If you do it right, that is, if you cultivate the proper attitude, making calls just to qualify leads is much easier than making “sales calls.” In a qualifying call, all you are honestly trying to do is find out whether there’s a prospective customer on the other end of the line. However, if you can’t resist trying to drive for an immediate sale, yes … you will suffer far more rejection than the average person can handle and you will lose your ability to pick up the phone. A qualifying call on the other hand is just a simple matter of getting to know each other. The latest estimates of the cost of a person-to-person sales call now average close to $400. A small business simply cannot afford that kind of expense. And yes, using e-mail is cheap and easy, but you get what you pay for. 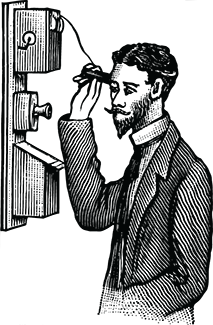 There is still no substitute for picking up the phone. Another useful measurement is to keep track of the average amount of business you do with each client. When you know this, you can focus on finding more clients who resemble your better customers. You may think your best customers are, say property managers. But if you calculate how much business you do with each customer, you may find you are making more working with home builders – which tells you to seek out more home builders. Finally, it’s good to keep track of your conversion rate – the number of leads that actually turn into customers. The point of tracking this is to try to waste less of your time. Looking for leads and new customers in the wrong places can gouge an enormous amount of energy and resources out of a small business. Noting what types of leads tend to become customers can help you focus your efforts where they pay off the best.